You do not have to be wealthy to make a planned gift, and you can make a gift that does not cost anything during your lifetime, such as a Charitable Bequest as defined in a Will or Trust. Another option would be to name the Benedictine Health Foundation as a beneficiary of your retirement account or of an insurance policy that you no longer need. If you would like to make a gift that gives you income for life, you may want to consider a Charitable Remainder Trust. No matter what you decide, please remember that a planned gift to the Benedictine Health Foundation means more than just a potential tax savings…it is also a way to give back to others. When including a bequest provision, always use the legal name and provide the federal tax identification number. 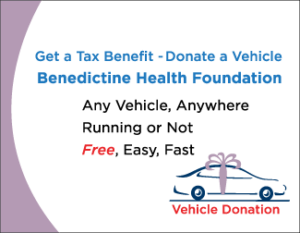 Our legal name is: Benedictine Health Foundation, Inc., and our tax ID number is: 22-2243537. Regardless of the size of your estate, proper planning is important to ensure that the assets you have spent a lifetime accumulating are distributed according to your wishes. 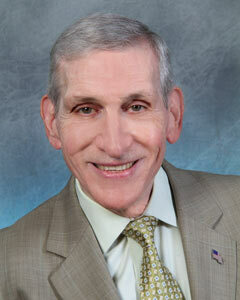 As with all tax and estate planning, please consult with your attorney or estate specialist. We will be glad to answer questions and offer suggestions confidentially based upon your personal circumstances and interests. Please contact the Benedictine Health Foundation at (845) 481-1303 or email brexford@bhfoundation.org. The Legacy Society was established to acknowledge donors who have named the Benedictine Health Foundation as the beneficiary of a planned gift in their estate to ensure that we will continue in our work and Mission to provide for the future health care needs of our community. If you have already named the Benedictine Health Foundation as a beneficiary in your estate plans, please contact us to let us know of your generosity. We will be happy to forward the appropriate paperwork to you for your membership in the Legacy Society. This will allow us to thank and recognize you for the plans you have made. Benefits of membership include an invitation to the annual Sister Mary Charles Donor Reception held each fall, and a listing on the Foundation’s web site.